The Uniwell HX-5500 POS terminal is a state-of-the-art, slimline 15.6″ capacitive touchscreen point of sale system suitable for hospitality and food retail venues of all shapes and sizes. Reliability – Uniwell’s proprietary technology removes risk areas in relation to system reliability. POS features are specifically designed to be robust and easy to operate. Third-party applications can’t be loaded onto the dedicated POS terminal, so stability is not compromised. Operational Speed – At Uniwell we have been developing and refining our POS technology for decades. A properly configured Uniwell POS system provides superior functionality, while still being faster and simpler to use for an operator than many other point of sale products. Security – An embedded POS terminal is an ‘all-in-one’ solution with no separation between operating system and POS application. This singular purpose provides greatly enhanced security, as users can’t access the internet and introduce external information to the POS terminal’s memory. Purpose-built hardware – Embedded POS terminals are specifically designed to cope with the day-to-day requirements of high-volume hospitality and retail venues. 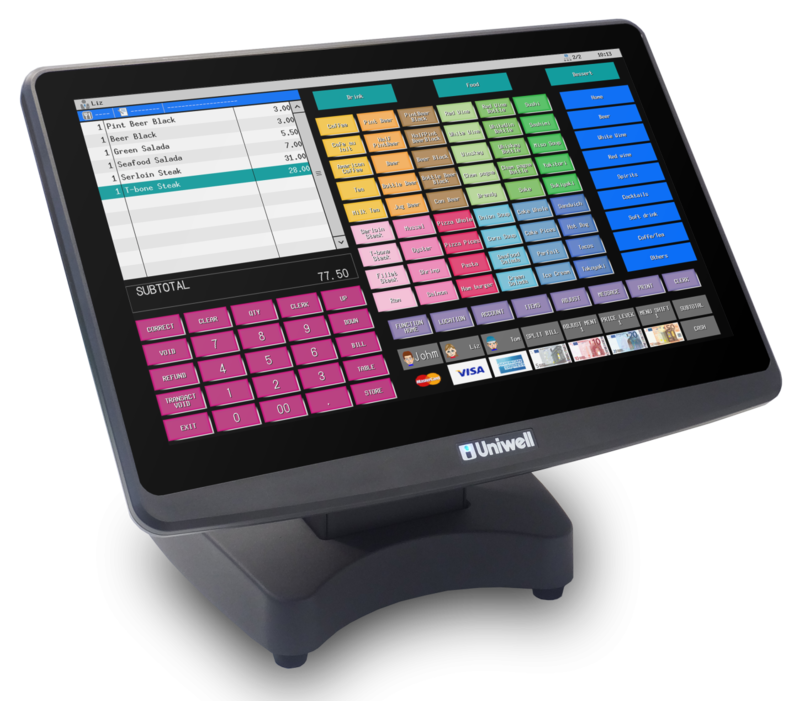 Uniwell has a long-standing reputation for quality POS hardware that can handle the physical workload that a standard tablet, laptop or PC may not. 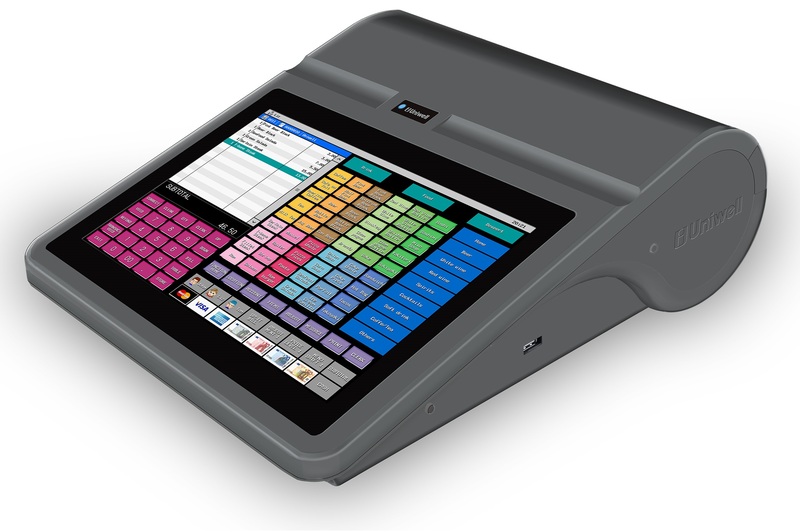 The all-new HX-2500 is the latest member of Uniwell’s HX series Hybrid ePOS family. This purpose-built 10” touch screen POS terminal is set to change the compact POS landscape, with an incredibly powerful feature-set that lends itself to hospitality and food retail venues of all shapes and sizes. Compact, yet powerful – With a 10” bezel free, capacitive touch screen, the HX-2500 is as responsive as any tablet POS system. Uniwell has over 35 years of experience designing and building POS hardware that has earned the reputation of being robust, reliable and easy to use. Fast & secure – Our proprietary software and solid state hardware provide high speed processing and operation, along with greater stability and security. Technician support is also made easier with our remote access and remote maintenance features. Advanced hospitality features – The HX-2500 is at home in any hospitality environment, with features including advanced kitchen printing, table maps and tracking, powerful condiment control, automated meal deals and other promotions. Large capacity – With a capacity for 50,000 PLUs, the HX-2500 becomes a neat retail scanning option. The internal memory capacity allows Journal Data to be stored for an extensive period. Peripheral options – Being compatible with the existing members of the HX series ePOS terminals, the HX-2500 integrates with our Phoenix handheld order-taking system, back-office software options, kitchen video displays and much more.